At the end of April, Phillips in London is holding a spectacular auction, ‘Time for Design’, to raise funds for the final stages of development of the new Design Museum. In case you hadn’t heard, the Design Museum is relocating to the former Commonwealth Institute in Holland Park in November this year. Having stood vacant for a decade, the West London building is being transformed into a 21st century museum by a team led by John Pawson - an architect known for his minimalist aesthetic. The donations for the auction have come from design greats like the late Zaha Hadid, Thomas Heatherwick, Norman Foster and Antony Gormley. Talking about the auction, Design Museum director Deyan Sudjic explains "Friends of the museum ... have donated such outstanding pieces, often from their personal collections, to help us fulfil our ambition of creating one of London's most important new cultural sites." 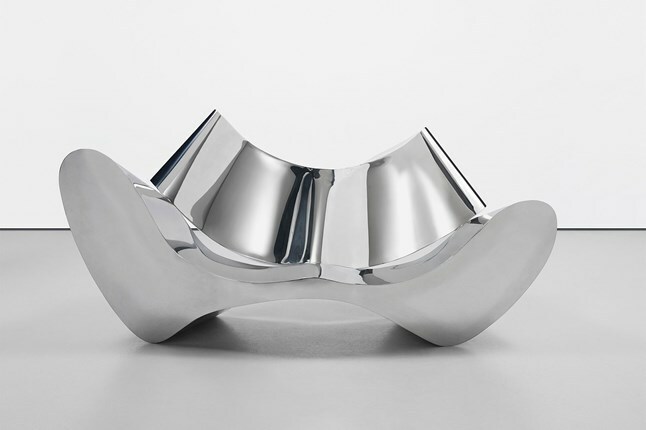 There are some incredible pieces for sale like this 'D-Sofa' by Ron Arad. Born in Tel Aviv, Arad now lives and works in London, with a studio in Chalk Farm. He is known for pushing heavy materials like metals to their limits and creating objects that go against the grain - this sofa is a great example of his rejection of traditional soft furniture. We were obviously devastated to hear about Zaha Hadid's recent passing, her creative brilliance was a major asset to British creativity, architecture and design and she truly left a mark on the cities her creations still stand in. 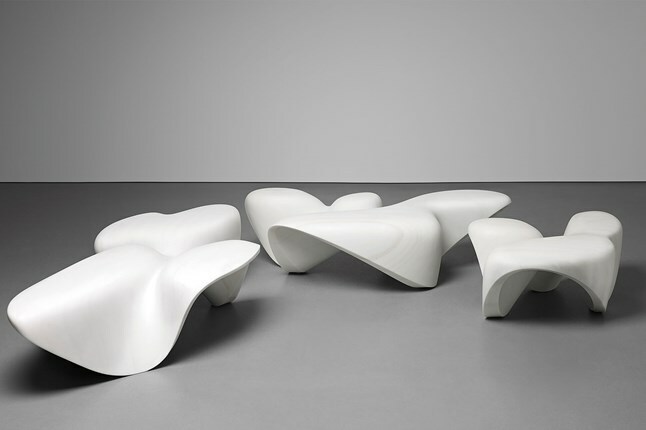 Philips is auctioning this collection of her 'Bianco Covelano' low tables from the 'Mercuric' collection. We were also intrigued by this large chandelier by Tord Boontje, made from enamelled steel, clear crystal and crystal AB coating. He is widely known for his famous Garland light that was a sell-out Habitat high street piece. Tord wants to stress that modernism doesn’t always mean minimalism. His work blends traditional methods and design with contemporary technology to create sensory pieces.